Our proprietary multicellular processing system can prepare three distinct biologics— Autologous Platelet Concentrate(APC), concentrated bone marrow aspirate and concentrated adipose tissue. This flexibility allows you the freedom to select the type of treatment you believe will benefit each patient most. The highest stem cell concentration and yield as compared to five other systems used to prepare bone marrow concentrate, as shown by the data below. The highest platelet concentration and yield as compared to 12 other APC systems, as shown by the data below. 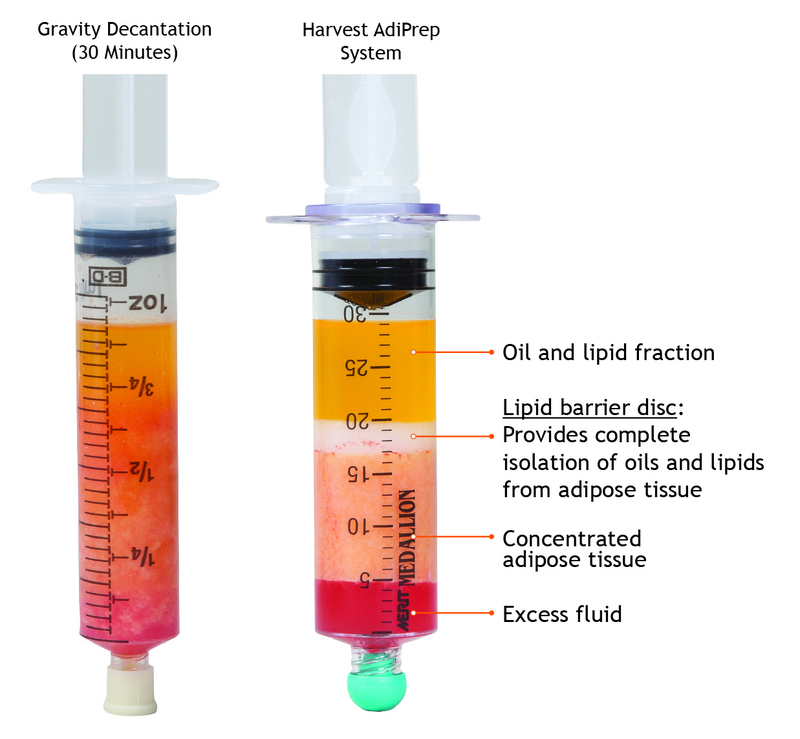 This photo shows final processed adipose tissue samples using standard gravity decantation methodology versus the Harvest AdiPrep system. The gravity decantation sample (left) shows minimal separation of contaminating components from the original lipoaspirate, even after 30 minutes. 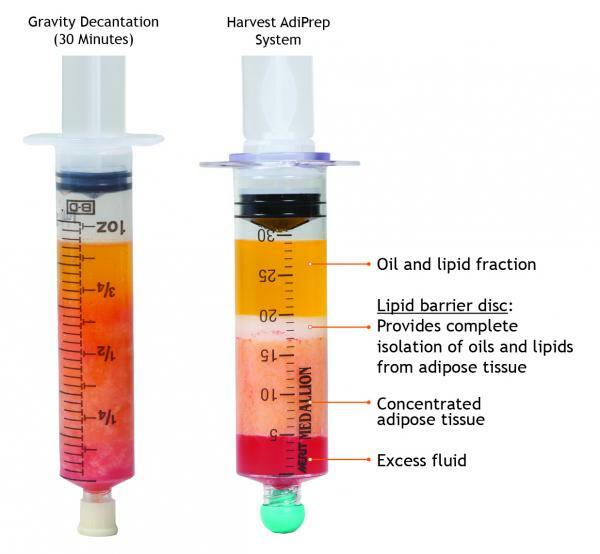 In contrast, the Harvest AdiPrep product (right) achieves isolation of contaminating lipids, oils, and infranatant fluid, yielding a clean, concentrated adipose tissue graft ready for delivery to the patient.